Almost every day, clients and colleagues ask me: “What is privacy law, and why is it everyone discussing it right now?” I recently gave a talk to my local bar association on that exact topic, and below is a snippet from that talk. 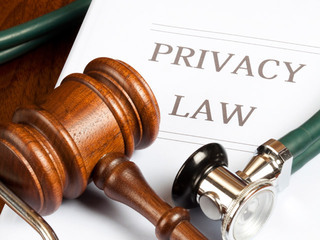 Privacy law deals with personal data and the use of that data: the regulation, storage, and protection of information about individuals. It is a multidisciplinary field of law, impacting any business that collects information from customers, clients, employees, or other businesses, in any form. For example, privacy law impacts a small café that takes payment card information. It also impacts the café when it collects information to process an employee’s paycheck. On a much larger scale, a company like Amazon is impacted by privacy laws regulating what a business can collect from consumers via its website, how it must protect such information (generally from an IT perspective), and to whom it must report when such information is breached (think the recent Target data breach). Some form of privacy impacts all businesses, so it’s critical to consider how your business is utilizing personal data and what you need to do to use and protect that data in a way that does not run afoul of privacy laws. If you're interested in reading why privacy law is so hot right now, see part two on my blog next week.